Designed for high flow applications and dependable dosage and treatment. Highly effective for water treatment in both passive and active applications. Treats metals, oils, hydrocarbons, agricultural waste streams, algae, sediment, and TSS. Biostar-CH treatment bags contain a proprietary blend of chitosan which dissolves in water delivering a slow-release dependable dose rate. Floc 500 Geo PC 950 contains 100% chitosan lactate flake. Floc 500 Geo PC 955 contains a 50/50 blend of chitosan and anionic Biostar Bridger. Floc 500 Geo PC 960 contains 100% anionic Biostar Bridger. The Floc 500 has the capability to treat from 125,000 to 500,000 gallons of water. The sturdy geotextile Floc bag construction allows for the use of these bags in high flow applications. The bags are constructed of a dark green, high strength, water permeable fabric which allows for consistent flow through capacity and a dependable and consistent dosage release rate. 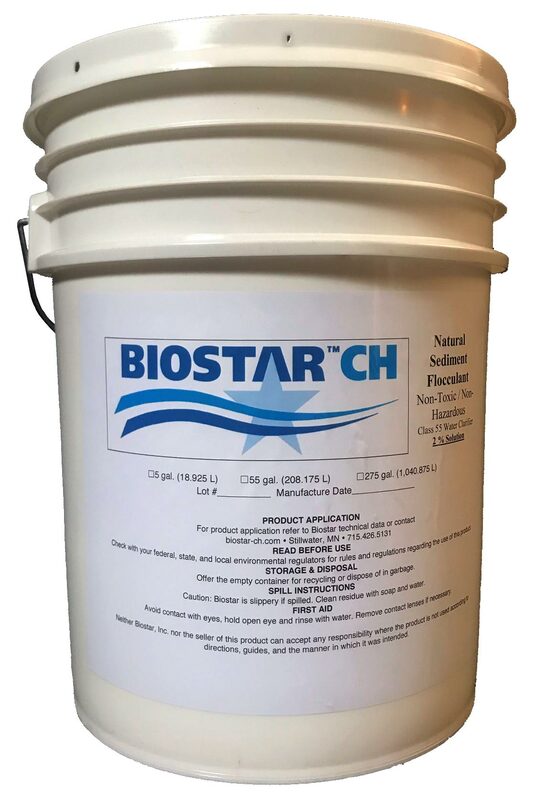 Each bag contains an accurate predetermined amount of water soluble Biostar-CH flocculant products to treat various turbidity levels and flow rates. Tear resistant, non-clogging, flow through geotextile fabic. Our bio-polymer liquid solutions provide dependable performance throughout the water treatment market. Liquid solutions are extremely effective for treatment of metals, oils, hydrocarbons, agricultural waste streams, algae, sediment, and TSS. Biostar-CH products are designed and formulated to effectively treat a wide range of projects relating to activities such as mining, construction, drilling, agricultural, energy production, waste and storm water, and contaminated soil remediation. 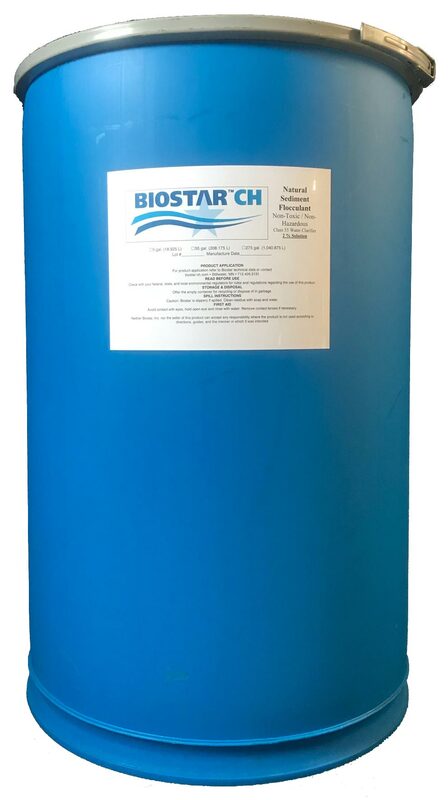 The use of Biostar-CH products along with filtration such as gravity settling, bio-filtration, and other conventional filtration systems and methods, ensures that discharge water is safe, clean, and within the effluent guidelines established and enforced. Treated water can also be reused in operations such as mining, sand and gravel operations, and other water use dependent industries reducing their overall environmental impact. Biostar-CH products enable successful water treatment and discharge compliance. Our liquid chitosan bio-polymer product line is formulated and produced from a proprietary chitosan material. Chitosan is derived primarily from the waste and recycling process of the seafood industry. It is used in a variety of applications such as water treatment, agricultural seed production, and the medical and pharmaceutical fields. Chitosan is the second most abundant naturally occurring product on earth next to cellulose. It is an all natural, non-toxic, non-hazardous material that rapidly breaks down in the environment. Our Biostar-CH Bridger is a anionic polyacrylamide liquid solution. Mid-range size for projects requiring higher treatment rates and longer project use. Biostar-CH fifty-five gallon drums are a popular choice due to container size, material quantity, and cost efficiency. Drum quantities fit perfectly for mid-size projects. Size and weight allow for handling ease and minimal storage space requirements. The preferred drum is the open top style in which the entire top can be removed for Biostar-CH material access. Drum tops feature two access openings for either drum pump applications or the insertion of a liquid metering tube. 55G PC 755 Anionic Biostar liquid bridger flocculant. 55G PC 810 Chitosan Acetate 2% solution. Viscosity of mid-range solution 785 mpas (cps) Standard determination method. pH: 3.0 – 5.0. Percent solutions are calculated by weight. Class 55 water clarifier. Non-toxic and non-hazardous which naturally breaks down to carbon dioxide and water within two to three weeks of application. No special handling or safety precautions are required. For large-scale projects requiring long term and high quantity water treatment. Totes are cost efficient and are the preferred choice for large scale and or long term water treatment projects. 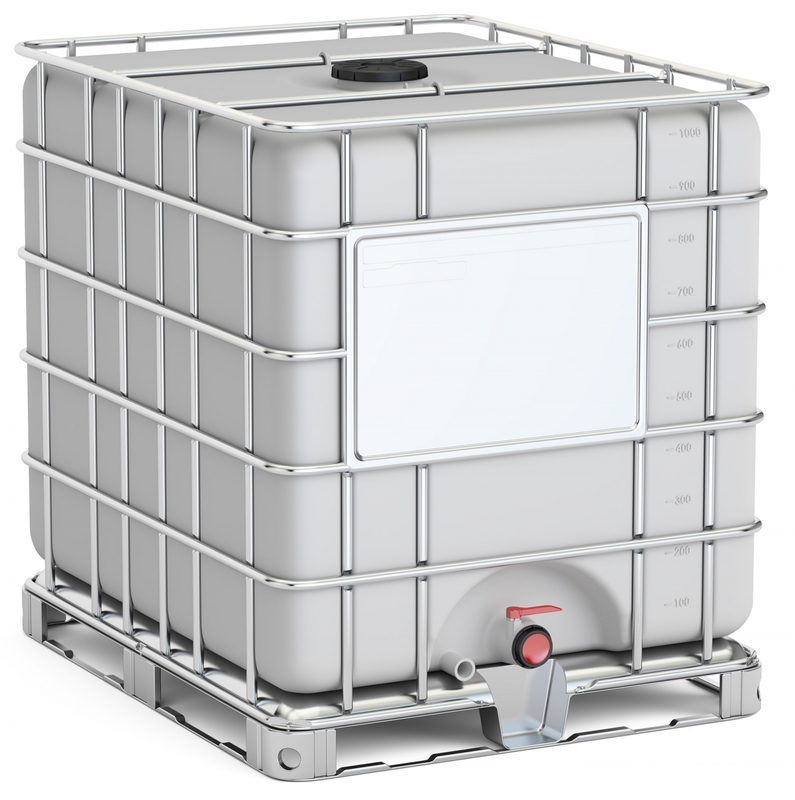 Totes provide the highest quantity of Biostar-CH per container at the most efficient cost per gallon value. 275 gallon totes are versatile, sturdy, and re-usable. Totes can be moved as required using equipment with standard pallet fork attachments. Two access points are provided: one 5″ round lid on the top along with a ball valve access point at the bottom. Biostar-CH can be drawn from either access point. Totes are re-usable and in some cases removed free of charge. 275G PC 775 Anionic Biostar liquid bridger. 275G PC 790 Chitosan Acetate 2% solution. The use of Biostar-CH and application techniques are supported and documented.